The Divine Bouquet - flower delivery London, same day flowers gifts. Find your eternal flame and put a huge smile on their face with this sublime bouquet of luxury flowers. 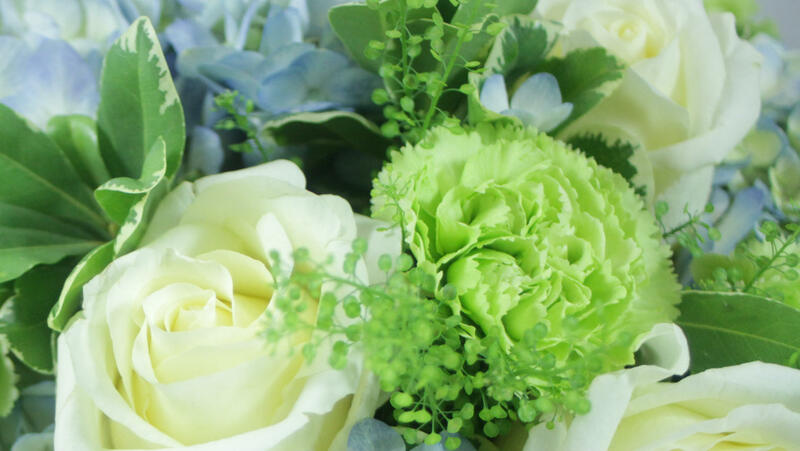 It is composed of blue hydrangeas, white avalanche roses, ocean blue agapanthus, gypsophila and lush flower foliages. The bouquet looked amazing,my wife liked it a lot. Nicely arranged and overly fresh. ps it would be good though to receive some of those chemicals to be added into water to preserves the flowers. Ordered my Sunday delivery with Flower Station and it worked well for me. Flowers arrived just after lunch and they were beautiful and fresh. My flowers did not seem to last too long but having called them two days later I was offered a free replacement. This time they were just right. I guess the first bouquet did not like the heat. Made my friends day! Thank you very much for quick delivery and for the lovely flower arrangement. Flowers were nice, the vase that I ordered was just perfect as well. They made a lovely gift. Thank you. Maybe a picture sent with flowers going out? That would be nice. I spent just over 35 pounds and my girlfriend was thrilled with her flowers, so I guess money well spent. Thank you Flower Station. I ordered this flower arrangement for my dinner party and boy were they great. I wish I could eat them. Great designs by these florists, one of few to be offering something like this. Loved the arrangement. Thank you for making my day. Ordered same day, delivered same day.